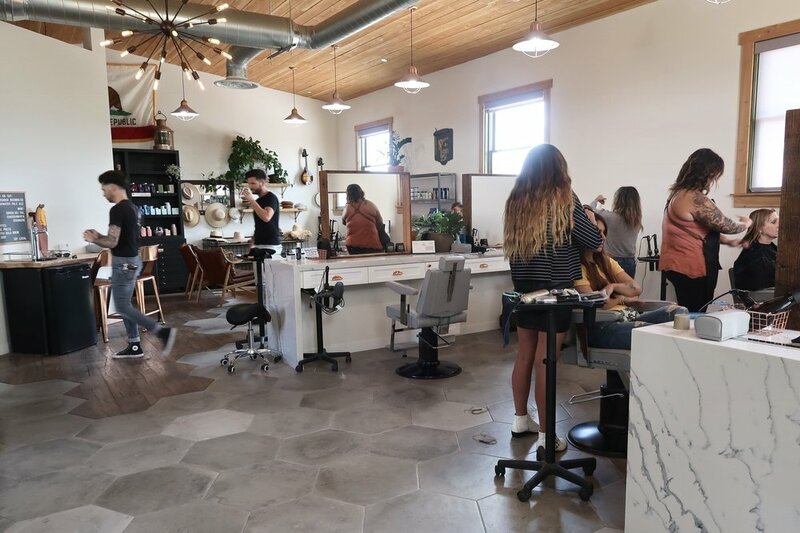 When it comes to opening a new salon, you’re faced with an exciting world of possibilities for creativity, as well as a number of crucial make-or-break business decisions. Before we opened Buffalo Co. 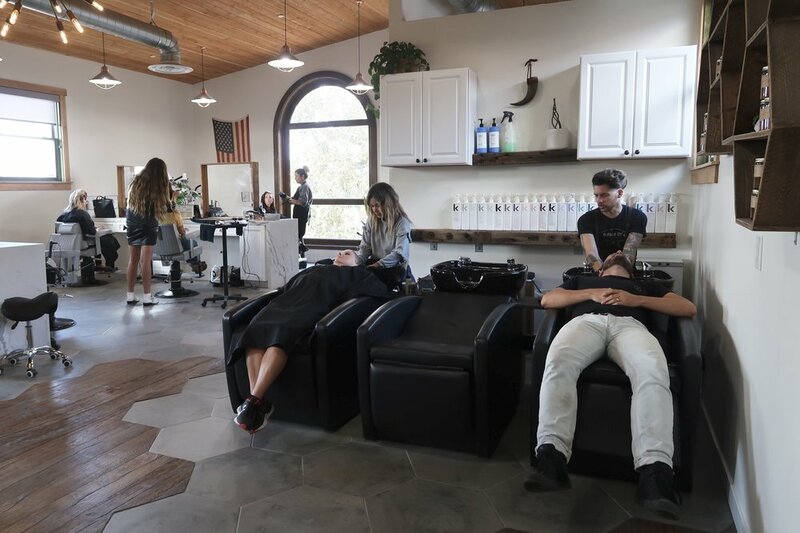 Salon and Barber in Temecula, Calif. last summer, we had to determine what our priorities were to our guests and to ourselves in order to establish a strong brand and voice. What did we want guests to feel when they walked in the door? How do we build an unbreakable company culture that trickles down into creating the ultimate guest experience? Finding the magic combination of these elements was the secret to salon success! Here are the three key points that we chose to focus on when running our salon that has brought us the passion and success we experience every single day! Team up with local businesses to create a unique client experience that guests can’t get anywhere else. We’re all about the guest experience and the vibe we create is very important to us. Buffalo Co. is a welcoming and fun environment that maintains a high-end level of professionalism. We have a casual, friendly barber shop feel, but with the customer service of a luxury spa salon. All guests are welcomed and offered refreshments from local Temecula wineries, breweries, and coffee roasters. All of our Stylists interact with all the clients in the salon to make sure that the atmosphere stays lively and fun. All guests in our salon appreciate the friendly, yet upscale experience they receive at our shop. First impressions are everything, and creating an atmosphere that guests want to be a part of the moment they walk in the door should always be a priority. We truly have a family of hair professionals that enjoy coming to work every day and doing what they love to do: rad hair. Buffalo Co. 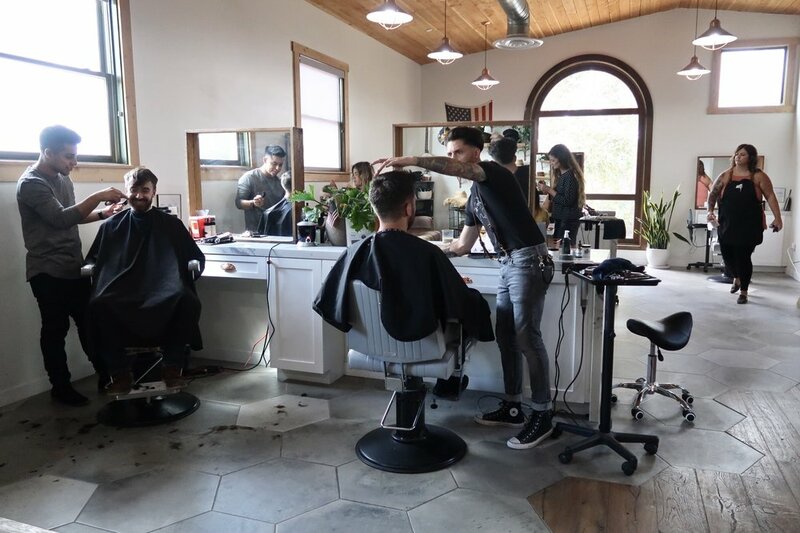 Salon & Barber hires stylists who are passionate about their craft and looking to constantly stay inspired and educated. We have regular classes scheduled in-house. We encourage each other and keep each other motivated. You can often find stylists watching other stylists work and sharing ideas and thoughts. We have everything from seasoned barbers/stylists to people fresh out of beauty school who are being trained and mentored. Choosing the right team members to represent your brand not only dictates your bottom line, but ultimately controls the energy that greets anyone who walks through the door — both clients and employees. Make sure you’re hiring individuals with a drive and desire to constantly better themselves and those around them. We have a beautiful salon inspired by the shopping center we are located in. It is comprised of buildings from the 1860s when Temecula was a large ranch community. We kept the 1860s vibe and combined it with a modern updated flair. We have beautiful hardwood floors that transition to large hexagon tiles. The stations have incredible marble counters and custom built wood-frame mirrors. The Takara Belmont dainty barber chairs are the perfect blend of traditional barber-style with a slimmed-down modern look. The large windows allow plenty of natural sunlight to flood in and give us a gorgeous space to work in. The interior design was very important to us and we hope that everyone who comes in sees our functional space as an additional expression of our art. Putting a personal flair or story behind your design allows guests to feel like they’re being treated to a carefully crafted experience that is an extension of your overall creativity. Celebrate form and function! Products: Kevin Murphy, Baxter of California, ADH, Brixton, Victory Brand Products, Hanzo De Fuko, and PF Candle Co. candles.